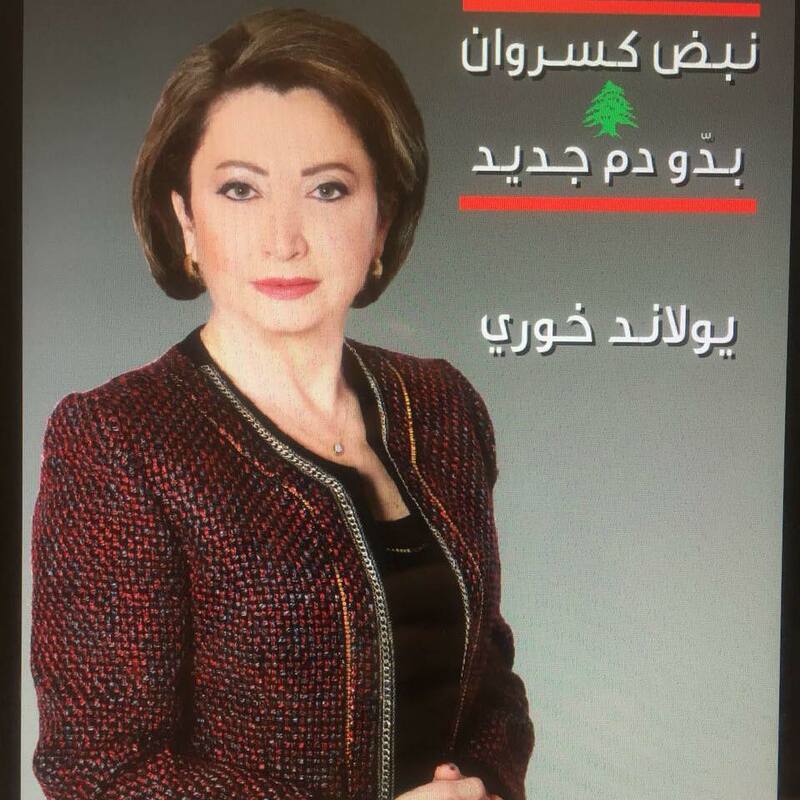 Yolande Khoury, who was one of the most known correspondents for LBC television, is running for the elections - I think it is on the Kataeb list viewing the "nabed" thing which seems to unite the candidates of that party (nabed means pulse). Here headline goes "the pulse of the Kesserwan needs a new blood" - her name is quite well known but of course with the plethora of the other candidates who seem to be running a better funded campaign (her own ads are very limited so far), I guess there are too many competitors vying for the same seats. Still, at least she has name recognition on her side.